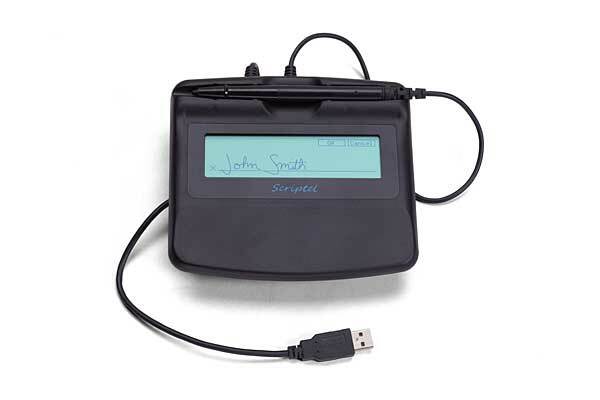 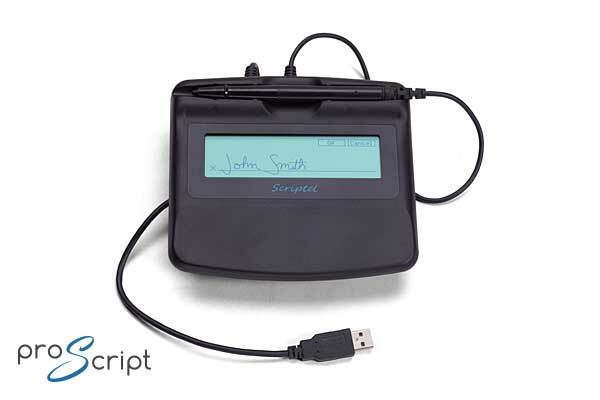 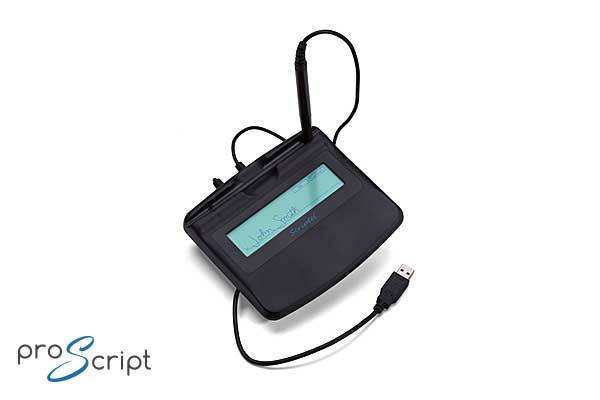 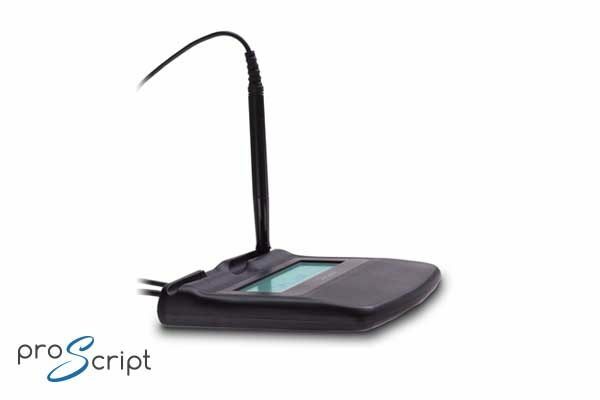 The ScripTouch ST1570 with ProScript device interface brings all these characteristics to the market including a no-scratch, backlit LCD and an ergonomic design. 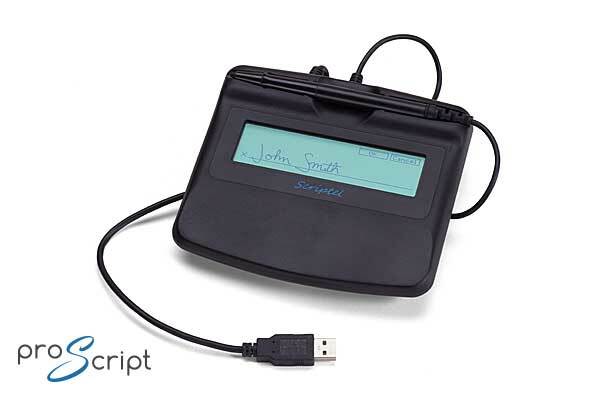 This signature pad exemplifies modern design requirements, including low profile height, horizontal pen tray and vertical pen mount, easy-to-use mounting holes and an ergonomic palm rest for a more comfortable signing experience. The LCD display provides immediate rendering and visual feedback to the signer avoiding the need to have an additional display for the confirmation.